You can’t go wrong with homemade banana ice cream! It’s just so creamy, dreamy, delicious! Each time I eat homemade ice cream, I’m reminded how worth it it is to take the time to make it. It’s just on a whole other level from store bought ice cream. You can taste the freshness and rich, creaminess that makes it so incredibly delicious. 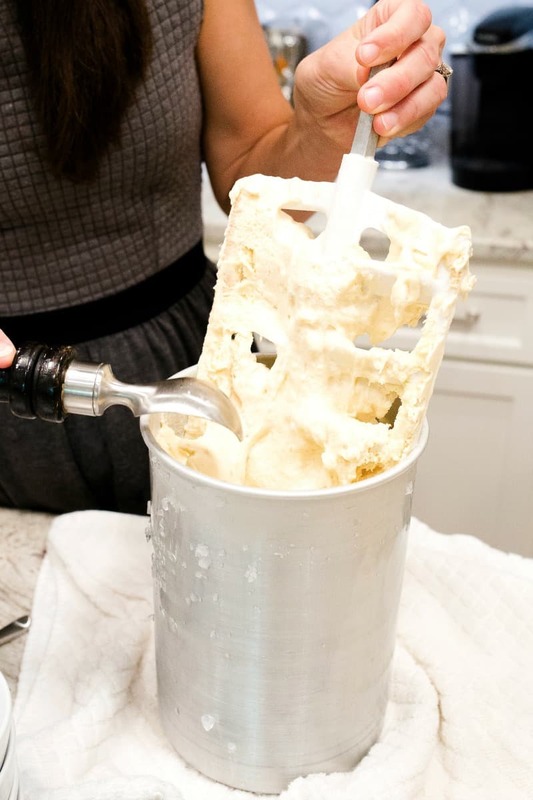 Sure, it’s a process, but once you go down that homemade ice cream path, it becomes harder to resist making it than it is to actually make it. 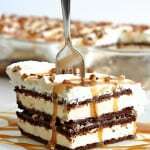 You just crave that homemade frozen comfort. 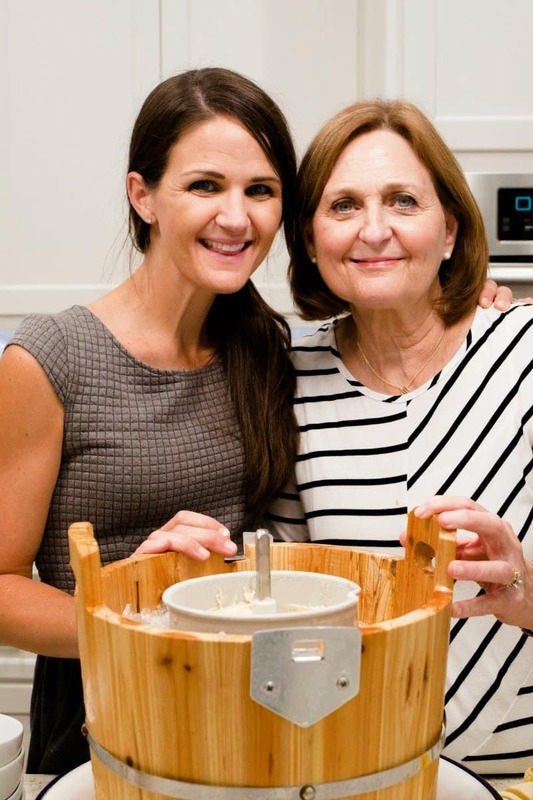 My grandma and now my mom have been making this banana ice cream for us for as long as I can remember. 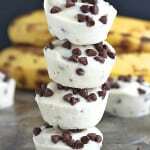 You say banana ice cream and I can just taste the delicious memories with family and friends over the years. 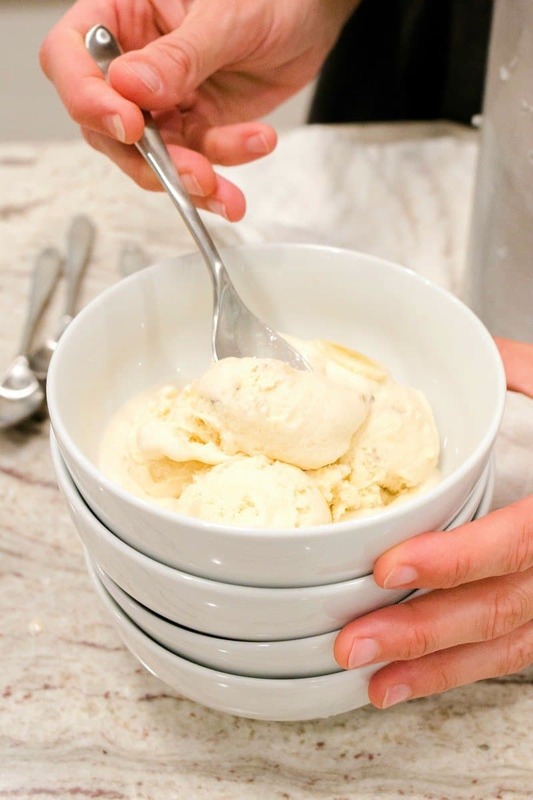 That old-fashioned ice cream maker has churned out so many batches of the most beautiful banana ice cream that everyone literally goes bananas over. It really isn’t that hard to make. One time and you’ll be a homemade ice cream making pro. 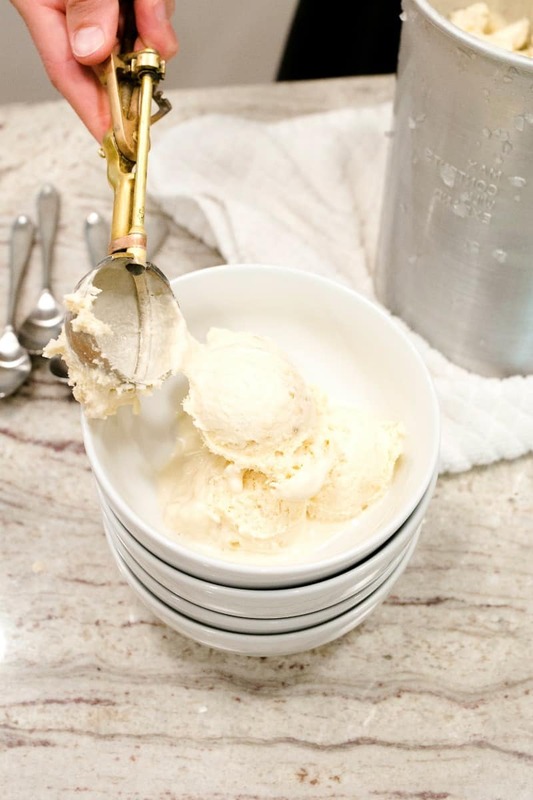 After heating the ice cream base to cook the eggs, you’ll pour the mixture into the ice cream maker can and surround it with ice and rock salt (per mixer instructions) before letting it churn into a thick creamy ice cream dream. wipe the top of the can clean of any ice or salt before opening to scoop the ice cream out. You don’t want that rock salt flavor to get in the ice cream. 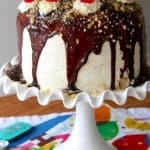 It’s one of those desserts that our family and friends look forward to and pretty much expect at all of our gatherings. Be it 4th of July, a birthday, an anniversary or just a casual Sunday supper, we all go crazy over it. 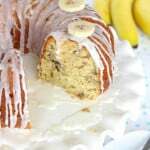 It’s so creamy and full of fresh banana flavor. I love the occasional little chunks of frozen banana throughout. So pull out the ice cream maker and grab a bunch of ripe bananas. 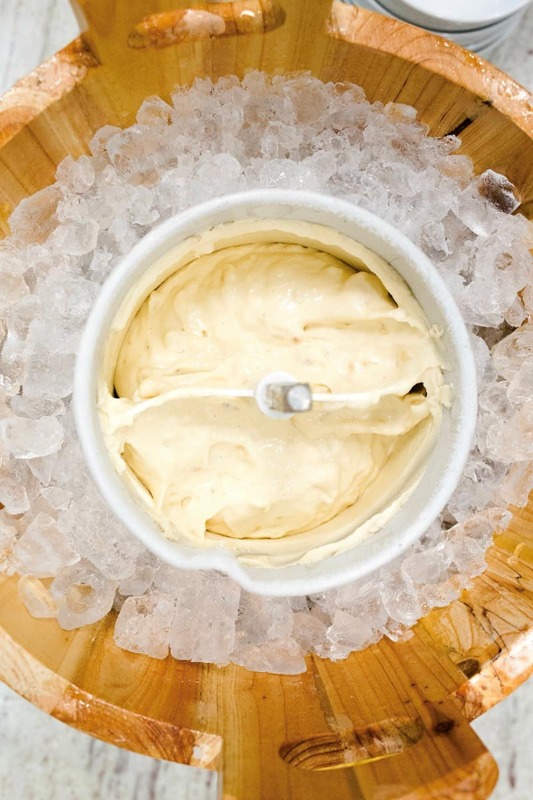 The best banana ice cream you’ll ever eat awaits you. 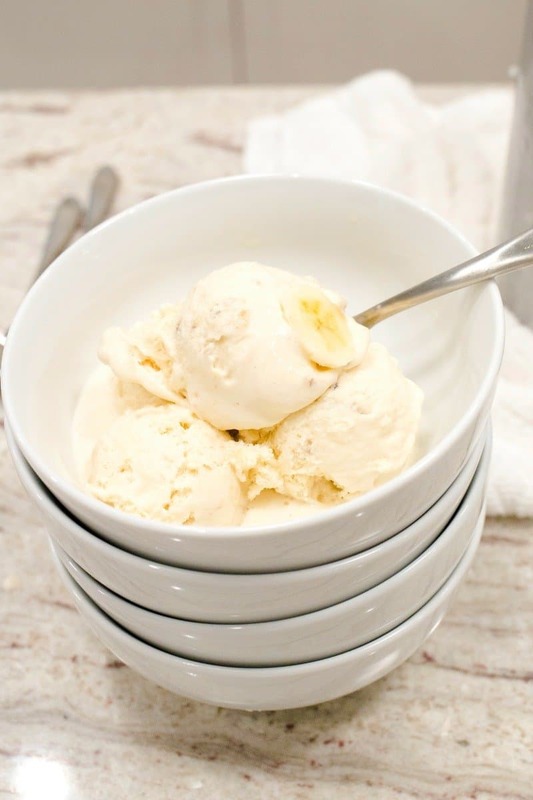 You can't go wrong with homemade banana ice cream! It's just so creamy, dreamy, delicious! Use at least a 4 quart old-fashioned ice cream maker or a modern ice maker according to manufacturer's instructions. If the bowl of the ice cream maker requires chilling beforehand, be sure to place the bowl in the freezer the night before. In a large mixing bowl, whisk together the eggs and sugar until thoroughly combined. 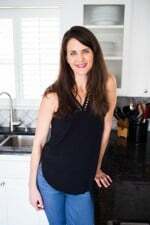 In a large heavy saucepan, heat evaporated milk over medium-low heat until just barely simmering, stirring frequently. Turn heat to low. Slowly whisk the egg/sugar mixture into the hot evaporated milk mixture, whisking constantly until well combined. Turn heat back to medium-low and continue to stir continuously until mixture thickens and coats the back of the spoon, about 8-10 minutes. Remove from the heat. 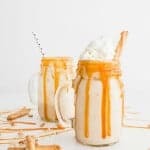 Whisk in the vanilla junket and non dairy creamer. Fold in the mashed bananas. Pour mixture into the ice cream maker can. Freeze according to manufacturer's instructions. Once ice cream is frozen, serve immediately or spoon into a freezer-safe container and store in the freezer until ready to serve.